Today I added one headstone photograph to the page of St. John’s Anglican Church Cemetery, Necum Teuch, Halifax County, NS. 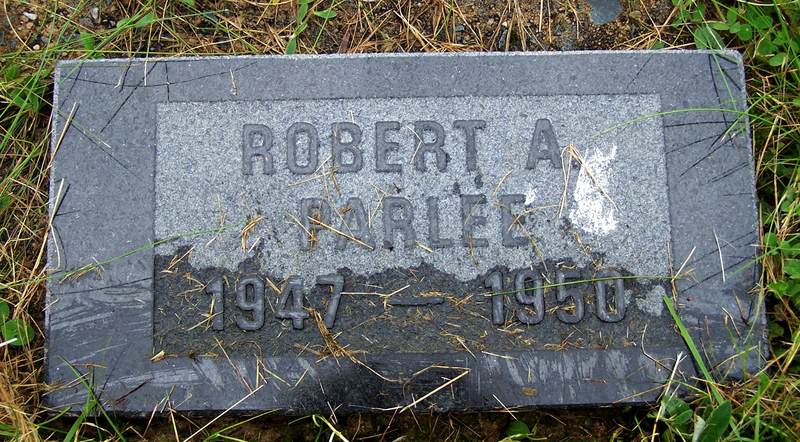 According to his death record, Robert Alexander Parlee was born August 25, 1947 at New Chester, Guysborough County, NS, the son of Ethel Bezanson and William Alexander Parlee. He died on April 9, 1950 at Moser River, Halifax County, NS, at the age of 2 years and 7 months. Atkins, Harry Roy: Born: July 29, 1894 at Harrigan Cove, Halifax County, NS, the son of Frances Turner Kaiser and James Richard Atkins.